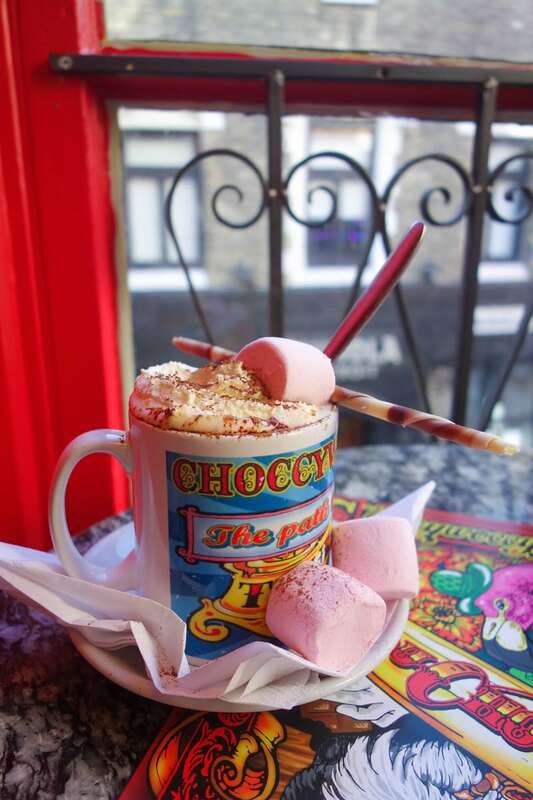 London has some AMAZING hot chocolates to get stuck into that are so more much more than the milky, overly sweet water we tend to find these days. On this list, you’ll find hot chocolates piled high with marshmallow fluff to cups that are deliberately over flowing with chocolate. Sound good? 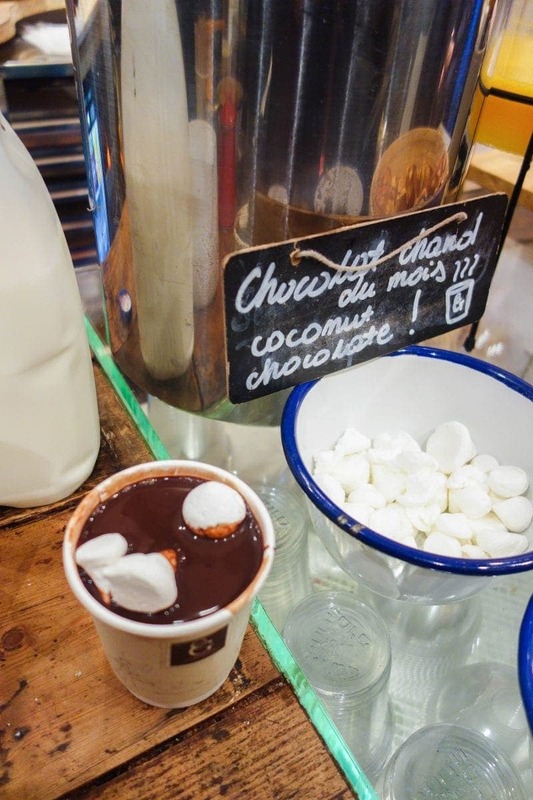 Here are 25 hot chocolates you MUST drink in London. 1. Classic Hot Chocolate, Hotel Chocolat. with chocolate whipped cream and chocolate flakes. We all know Hotel Chocolat is the place you go if you’re ever in need of some posh chocs. Well, it turns out that a few of their stores in London (and around the UK) also have a cocoa cafe serving freshly made cakes and their speciality hot chocolate. Made with shaved chocolate, topped with chocolate cream and sprinkled with chocolate flakes. It’s definitely one for the extreme chocolate lovers. 2. Milk Hot Chocolate, SAID Dal 1923.
with a dark, milk and white covered cup. 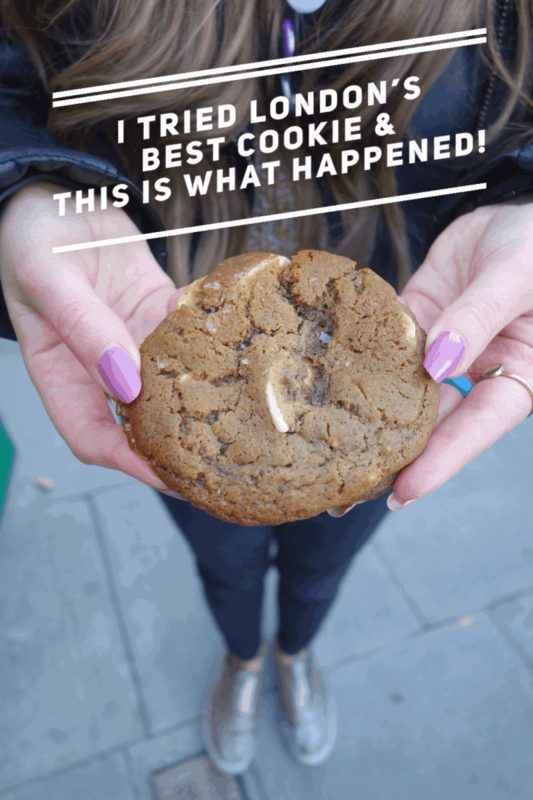 I update this list every few months and unfortunately, Fatties hot chocolate was taken off because sadly, salted caramel queen Chloe left London. Thankfully it’s back and you’ll find it at the WaffleOn stand at Maltby Street Market on Saturday’s and Sunday’s. Her hot chocolate is thick, indulgent and laced with salted caramel. More importantly, it has a toasted marshmallow rim so with every mouthful you get a sticky, sweet fix as well. Definitely in the top 3 best hot chocolates on this list. 4. Nutella Hot Chocolate, Cereal Killer Cafe. with whipped cream, Nutella rim, coco pops, Oreos and chocolate sauce. 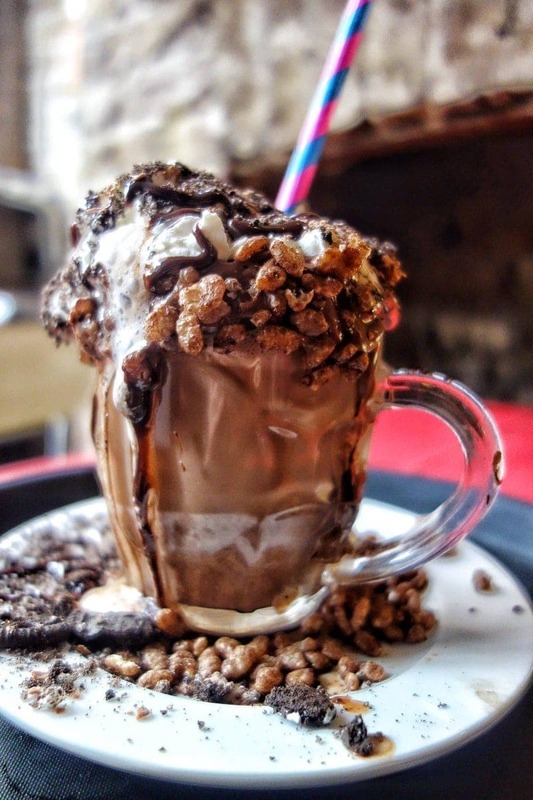 The phenomenon that is the Cereal Killer cafe not only sells every cereal you can imagine but they also do hot chocolate creations as you’ve never seen before. We’re talking Nutella, whipped cream, crushed Oreos and chocolate sauce. Plus they overload it so much it spills out of the sides. Mamasons Dirty ice-cream is a funky little dessert shop in North London that does a range of Filipino treats including this very unusual ‘ube’ hot chocolate. Ube is a purple potato used widely in Filipino cooking and they somehow make a hot chocolate from it. 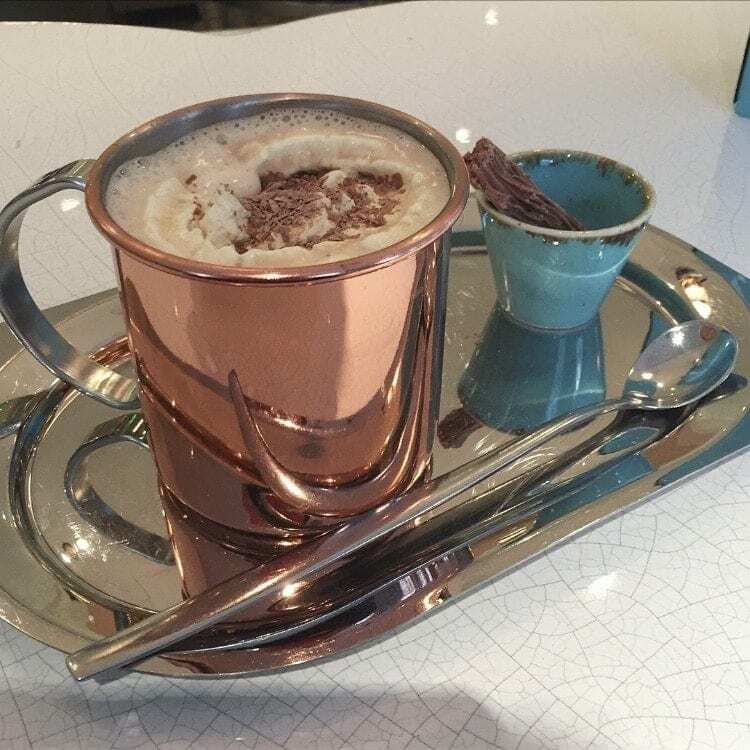 It looks very pretty and let’s just say it is THE most unusual and interesting tasting hot chocolate you will ever come across. 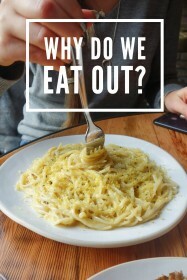 I genuinely can’t describe it, you seriously just have to taste it for yourself! 6. 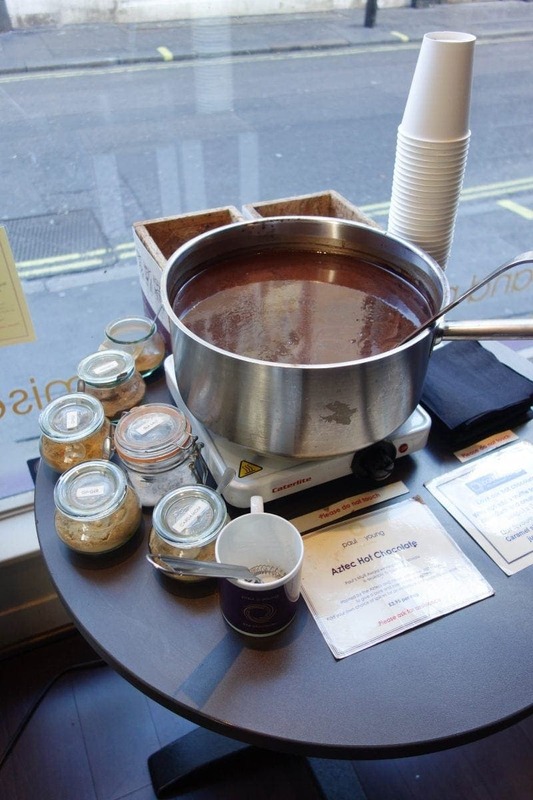 Valrhona Hot Chocolate, Chin Chin Labs. with a toasted marshmallow top. Chin Chin Labs are known for their crazy ice cream flavours and combinations made using liquid nitrogen. In 2016 it was their hot chocolate creation that went viral all over the world. A rich Valrhona chocolate sits beneath a mountain of toasted marshmallow fluff so thick your spoon is more than likely to get stuck. You can see a full behind the scenes feature of this hot chocolate here which currently sits at over 20 million views! 7. 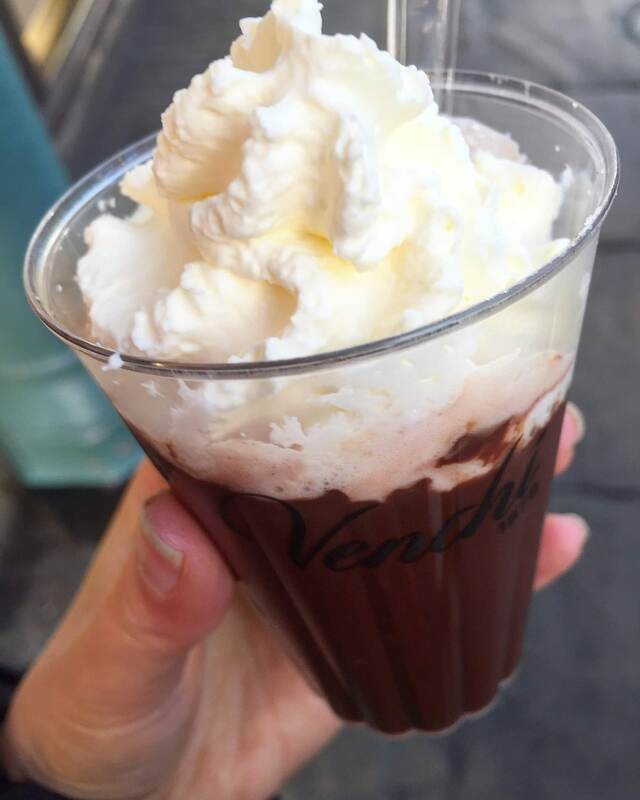 Traditional Hot Chocolate, Venchi. If you’re walking around Covent Garden and looking for a dessert on the move then Venchi is the place. Their hot chocolate is super thick and is topped with a generous squirt of cream. More of a pudding than a drink. 8. Classic Hot Chocolate, Dark Sugars. with milk, dark and white chocolate shavings. Walk into Dark Sugars on Brick Lane and you will be surrounded by every flavour chocolate truffle you can ever imagine. Once you think you’ve reached chocolate heaven go to the counter and ask for a hot chocolate. Once it’s poured into the cup, blocks of milk, dark and white chocolate is hand shaved and piled on top before serving. Either eat the pile of chocolate before you drink or stir into the hot liquid for an extra chocolate hit. 9. Aztec Hot Chocolate, Paul A Young. with choice of spices to add. Amongst the shelves of artisan chocolate at Paul A Young you’ll find a saucepan of molten chocolate sat proudly in the store. Grab a member of staff who will pour it into your own takeaway cup and top it up with your choice of spices. There’s sea salt, cinnamon, chilli or ginger. The world is your chocolate oyster! with a marshmallow blossoming flower. *Click to play video* Never did I EVER think I would be describing a drink as ‘theatrical’ but it turns out that’s exactly what I am doing. This beautiful hot chocolate from world famous bakery Dominique Ansel involves dropping a flower of marshmallow into decadent chocolate which actually blossoms in front of your eyes. If that wasn’t good enough already it melts down so a layer of thick gooey mallow sits on the top. My tip? Don’t stir it in cos’ every sip will be super sweet and sticky. Style AND substance with this one. Just by Victoria train and coach station too if you’re hopping on a train or bus and fancy a treat first. 11. Long and Frothy Hot Chocolate, Ruby Violet. 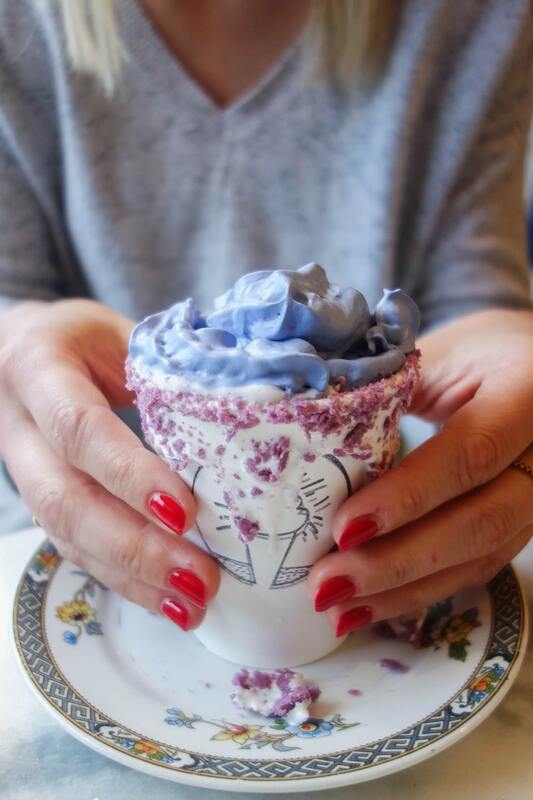 Ruby Violets is a quaint, colourful ice-cream shop in North London. Order their long and frothy hot chocolate and you get to pour hot milk into a cup of molten chocolate and watch it come life. Order a short and intense and you’ll get a cup of pure liquid chocolate to drink on its own. Which one will you choose? Both come in the prettiest cup you’ll ever see. 12. Godiva Hot Chocolixir, Godiva Cafe. Godiva is one of the most well-known chocolatiers in the world and people go just to Harrods to visit their chocolate cafe. 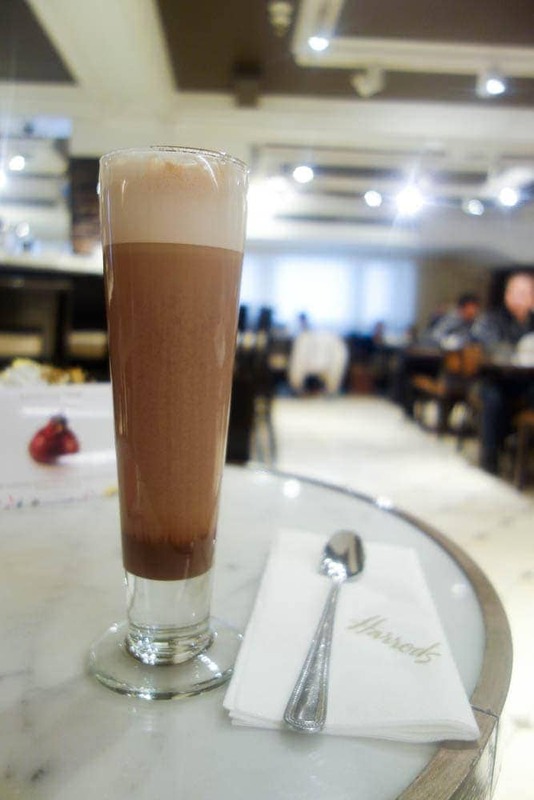 As well as chocolate cakes, chocolate fondues and chocolate shots, you can get their chocolixir hot chocolate which comes in a choice of milk, dark or white with frothy milk on top. It’s super sweet and super delicious and if you’re shopping and feel like a treat it’s one to visit. 13. Pauls Classic Hot Chocolate, PAUL Bakery. with mini pain au chocolate for dunking. You can’t go into Paul’s Bakery without ordering one of their signature hot chocolates. It’s thick, luxurious and paired with a mini pain au chocolat for dunking, it’s the perfect indulgent treat. … with marshmallow and a chocolate stick. Chocywoccydodah are known for their extravagant, crazy and colourful cake creations in their dedicated cake boutique. As well as their shop downstairs they also have a cafe upstairs with a full sweet menu and this signature hot chocolate is on there. In all honesty, it’s a little bit style over substance so don’t expect a cup of thick molten chocolate but a modest cup which has been decorated well and tastes as you would make at home. So, why have I included it on this list you might be thinking? Well not everyone wants a gourmet cup of chocolate and you may want something that’s a bit fun, colourful and a nice experience. Get there early. There’ll probably be a queue. The French are excellent at being indulgent and Comptoir Gourmand indulgent times x 10! This little French bakery is packed full with pastries, cakes and bread and between all of those sits their hot chocolate. It’s made with coconut cream so it’s really thick, luxurious and has a delicious sweetness to it from the coconut. You can choose to add meringue or brownie pieces to it as well, and why the hell wouldn’t you?! Motcomb Street is a little road in uber swanky Belgravia that’s home to designer fashion, beauty and food. Christian Louboutin (The guy with the red-soled shoes that go for thousands of pounds!) is there just to give you an idea! 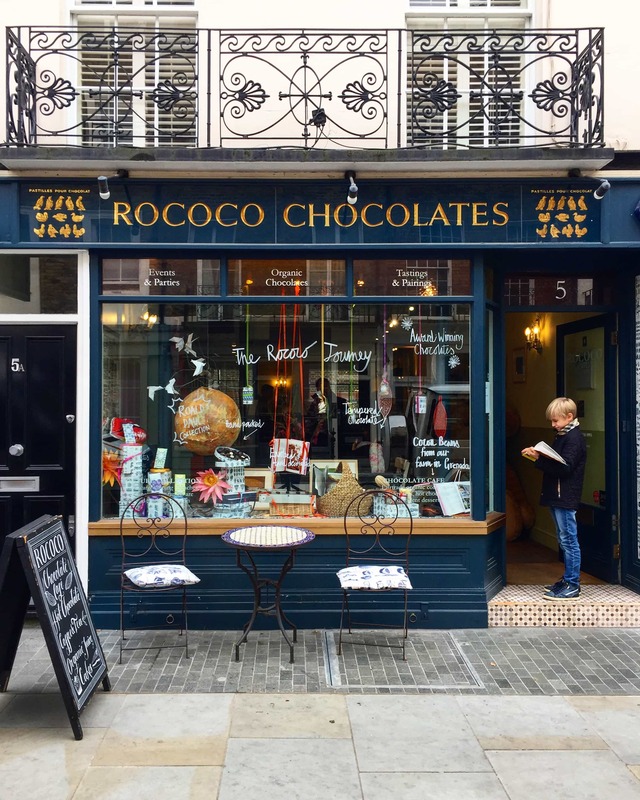 Nestled in this small street is a quaint artisan chocolatier called Rococo who do luxury handmade chocolates and gifts to take away. What a lot of people don’t know is they also have a secret garden where you can enjoy one of their homemade hot chocolates snuggly outside. It always comes with a little piece of chocolate to enjoy too. A lovely little quiet corner of London that doesn’t feel like London at all! 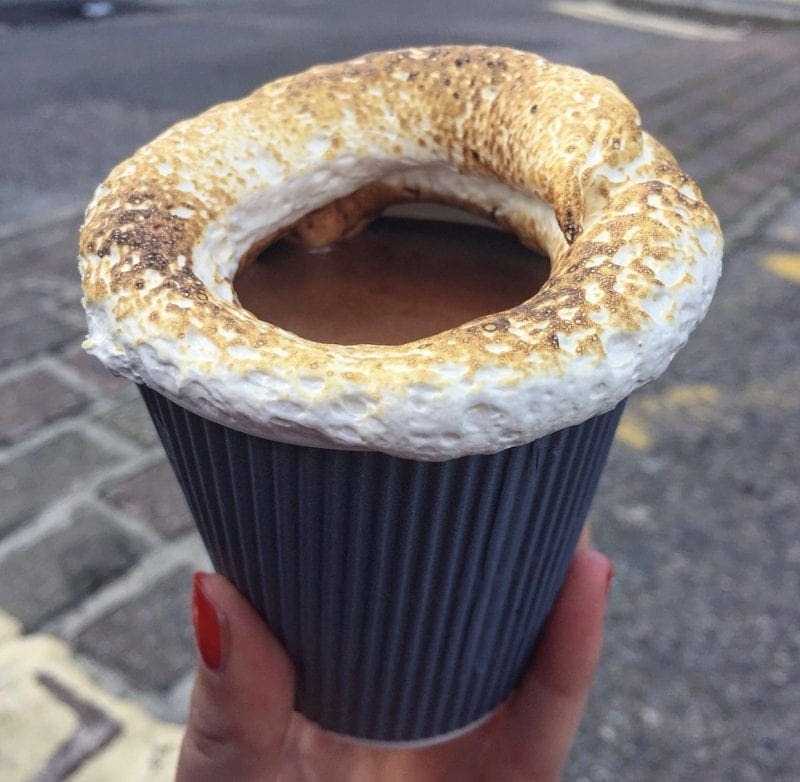 *Click to play video* Remember the toasted marshmallow hot chocolate from Chin Chin Labs in my Behind the scenes of London’s most decadent hot chocolate post? If you haven’t seen already it has a thick scoop of marshmallow fluff on top that’s toasted right in front you! Delicious yes but unfortunately not any good for you guys who are vegan. 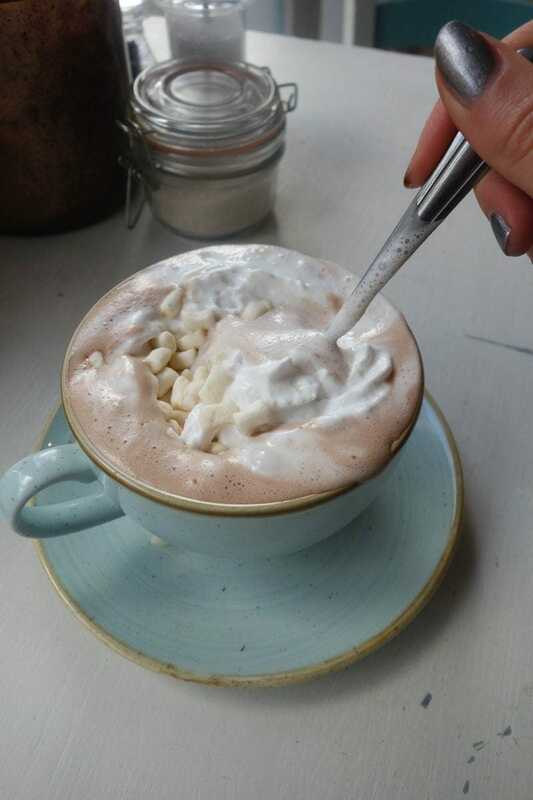 Fortunately, the guys at Chin Chin Labs have created an alternative with the same great hot chocolate underneath but have put whipped coconut cream on top. It’s so decadent and tasty, and never would you know it doesn’t contain dairy. 18. Artisan Milk Hot Chocolate, Fortnum & Mason. Fortnum’s is a pretty spectacular place and to say you’ve eaten or drunk in there is a luxury in itself! If you’re shopping, browsing or trying to snag some tasters at the cheese counter, a good place to end is at The Parlour. Chocolate curls are melted into hot milk, topped with cream and served with any extras you want like a flake or marshmallows. 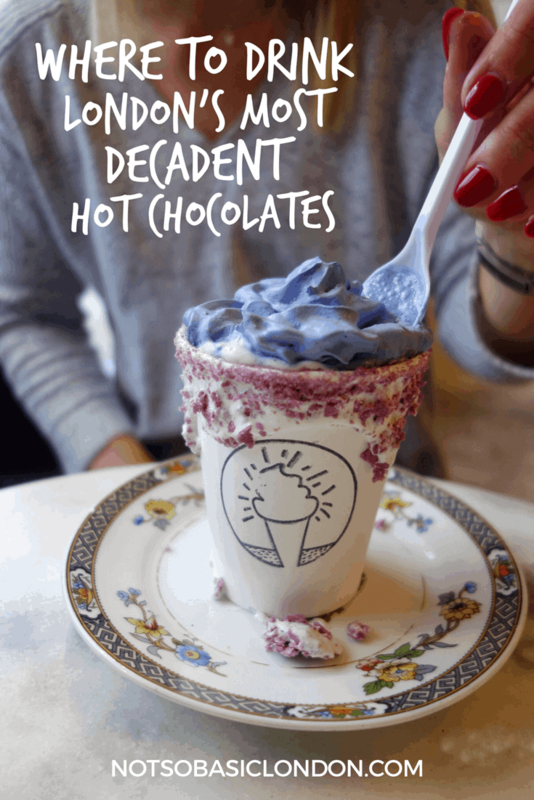 It’s deliciously sweet and come on, that’s one fancy looking hot chocolate right? 19. Classic French Hot Chocolate, Laduree. If you want a true Parisian hot chocolate in the centre of London then look no further than Laduree. This famous bakery is known mostly for its macaroons but they do a great hot chocolate. Don’t be fooled by it’s thinner consistency than some of the others. It seriously packs a punch. 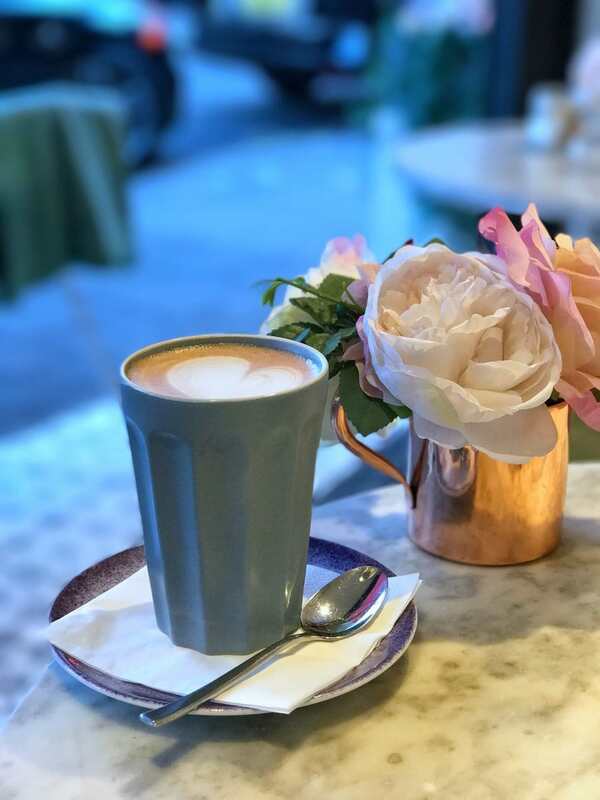 Elan cafe is a small cafe tucked away on a corner of Londons very expensive Park Lane and it’s an Instagrammers dream. They do cakes and pastries (I haven’t tried them yet) as well as silky, smooth Nutella, chilli and praline hot chocolates. If you’re lucky to get a table on the front you can people watch over towards the 5* Waldorf Hotel of which it overlooks. Remember I did say it’s on Park Lane and I did say 5* Waldorf Hotel so know if you are coming here just note it’s not going to be cheap! Ever had affogato? Ice-cream with hot coffee poured over the top? Delish, right? 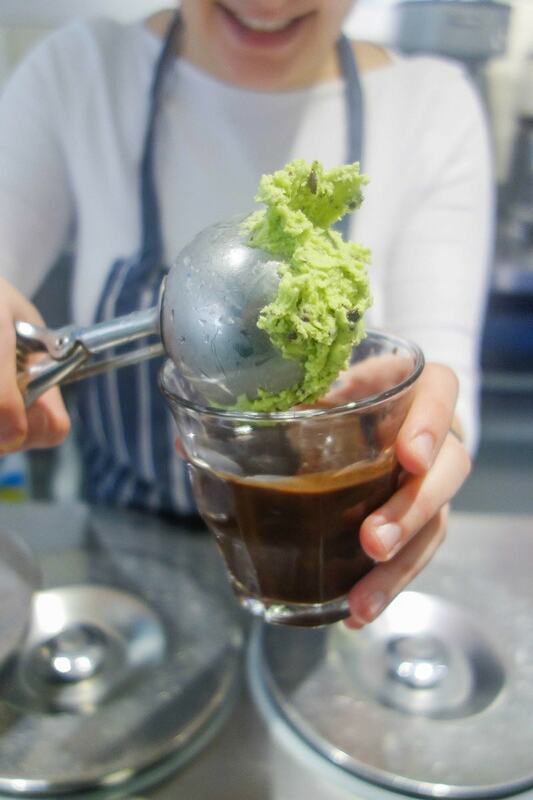 Gelupo is an artisan Italian gelateria (say that when you’re drunk) and they do a similar version of this but instead of using coffee they pour hot chocolate over a big dollop of gelato. 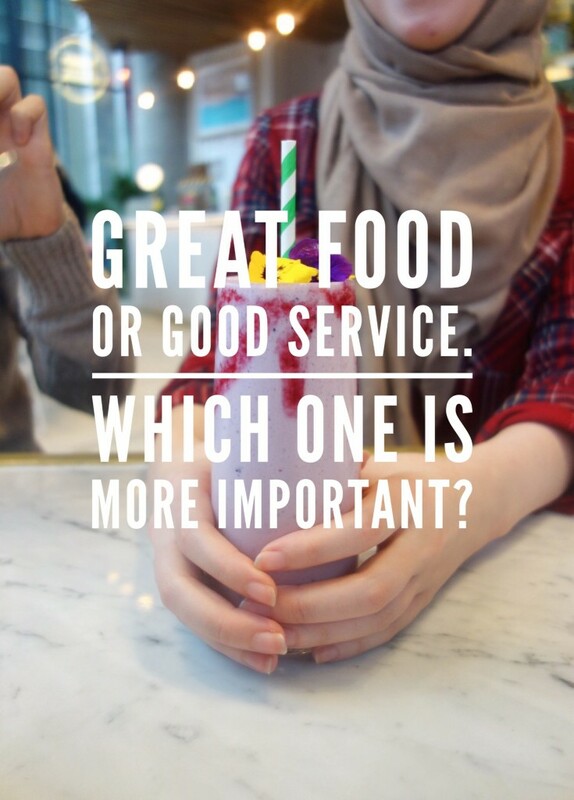 Best thing is you can choose whatever flavour you want and customise your own. The one below is mint choc chip. with whipped cream and marshmallow. 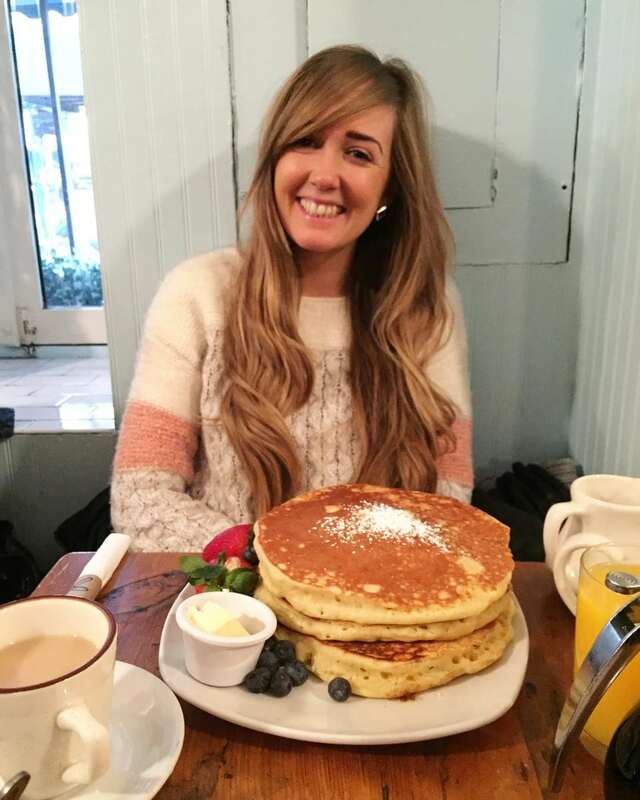 I featured Jaz & Jul’s back last year on my North London breakfast bucket list. They’re a lovely little chocolate shop ran by two friends Jaz & Jul’s who have a passion for all things chocolate. Inside the cafe, they have a whole host of different flavoured hot chocolates to eat in or takeaway which are all ethically sourced and made in London. 23. Artisan Hot Chocolate, MELT. 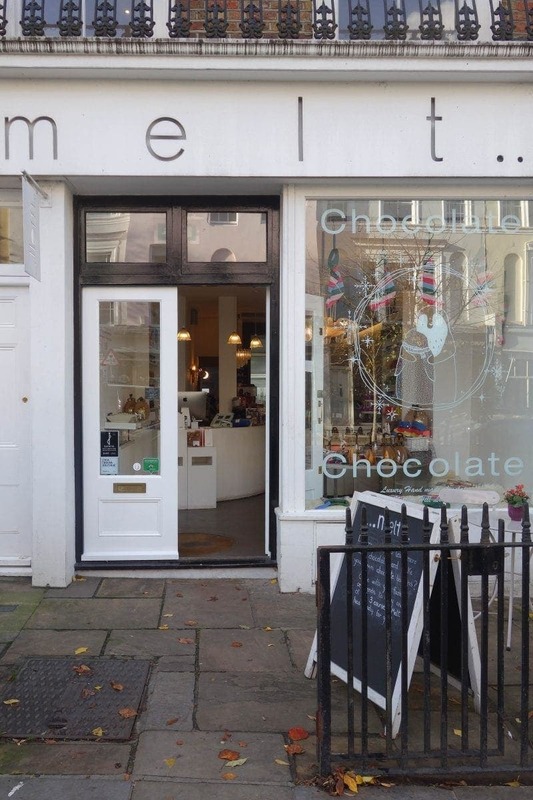 MELT are a chocolate boutique in West London’s affluent Notting Hill. If you haven’t been to that area before I highly recommend you head there one weekend to see the market, the colourful houses and stop off at MELT for a hot chocolate. There’s no bells or whistles with this one, just a good cup of luxurious, thick hot chocolate. They also have their own range of designer chocolate bars and boxes to buy in store too. The Haberdashery is a cute little coffee shop in North London. Their hot chocolate comes in a bowl rather than a cup and between the vintage crockery, fairy lights and a counter that is full of sweeties, it’s the perfect spot to settle down on a wintery weekend afternoon. 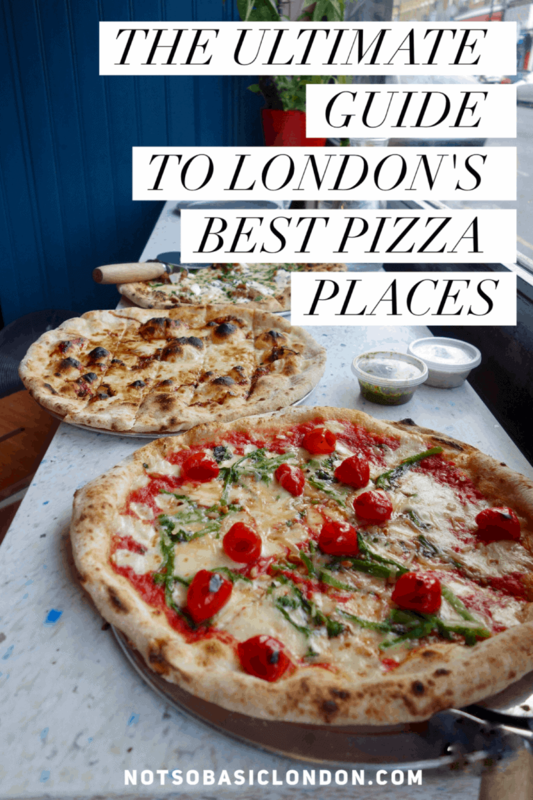 Next Post November’s London Food Finds (2018) : Picks From London’s Best Restaurants.